I swear that there has been a thread with spyshots regarding the smallest MQB (Polo) based SUC in VW's lineup, but it doesn't show up currently in search or the listing. So, here is the first teaser. As you said, this will sell very well, even if I don't see the necessity to have an CUV/SUV every 10-15cm in their model range, either this is too large or the T-Roc too small. Last edited by disap.ed; 07-04-2018 at 01:44 PM. 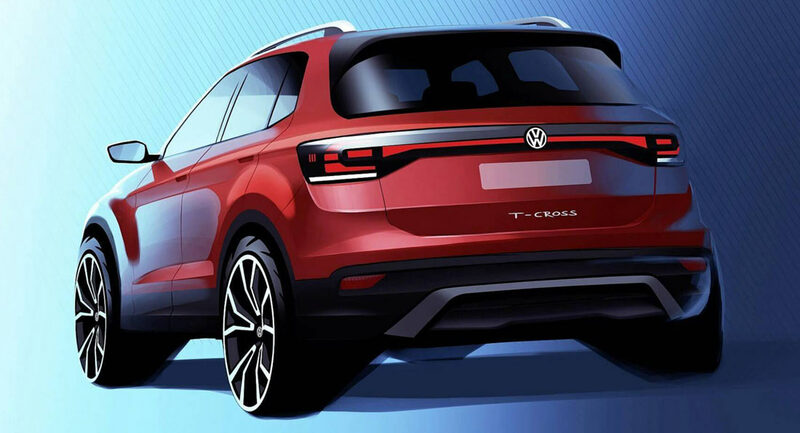 I agree, it looks more SUVish than most current VAG cross overs (as I said, it reminds me of the first gen. Tiguan); The Seat is indeed weirdly looking like an Ibiza with a higher roof and not so much like a cross over, but to me the T_Roc is also - especially in the actually bets selling, small alloys or hubcaps and one color for body and roof base to mid trim versions more hatchback than CUV, this as a result looks more "truckish", and dare I say larger (despite we know it isn't). This is smaller (slightly), despite being based of the same platform. But MQB gave birth to already 7.839 SUVs (an estimate), and certainly will give birth to more. As said, SUVs/CUVs are the thing that sell, but I guess we have reached the model line up density (and Skoda and Seat producing mostly identical vehicles as as well doesn't help either), where adding one just adds cannibalization.. The XC40 is NOT "affordable" more like ridiculously overpriced and expensive. VW needs to be targeting Hyundai-Kia, Ford, Chevy, Toyota, and Honda, not some low-volume, near-do-well, wannabe-premium brand like Volvo. Hapless bunch of dingbats running VW. You’ve miss read my post. I’m saying the VW would be the best looking in the “affordable” market if it were to come here. The XC40 I’m saying is top dog design wise in that size of CUV overall. Also you’re cracked if you think the XC40 is “ridiculously overpriced and expensive” because price wise it slots below BMW & Mercedes but beats them in overall drive, options, and packaging. Watch the reviews man, almost everyone claims it as the winner in the segment in their comparisons. ..The XC40... is top dog design wise in that size of CUV overall.